I started my morning very early as I could not sleep at all. I think I got about four hours sleep in total. My jet lag was really bad when I was out there and I only got a good nights sleep probably once out of the whole week. That morning I spent getting ready in my hotel room before heading off on the MTR (Similar to the tube). 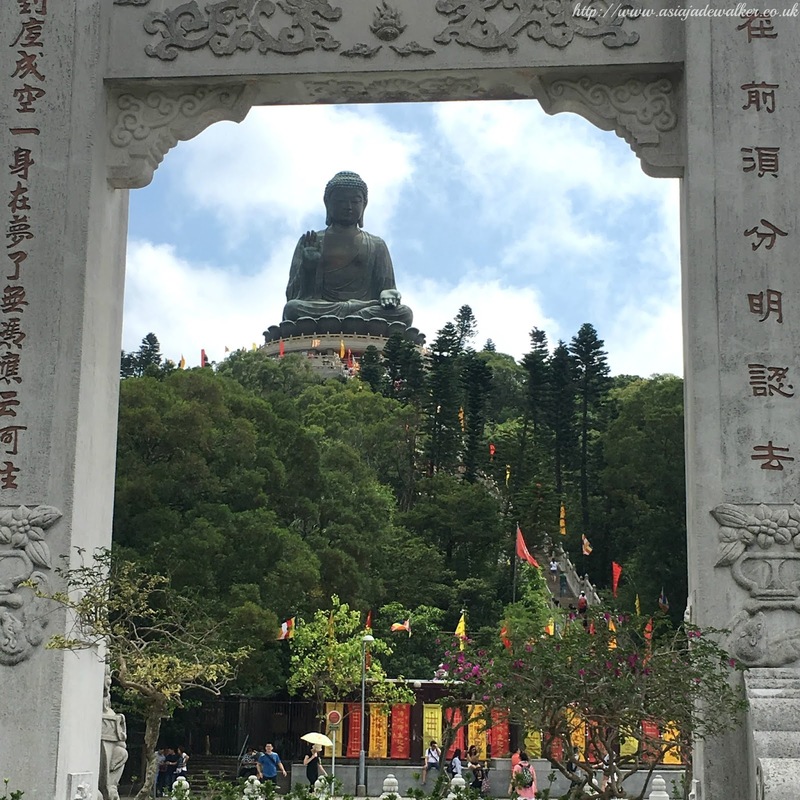 My friend and I had planned to meet up at Nam Cheong tube station where we would then travel to Tung Chung to go to the Buddha. My friend actually overslept as she had been working the day before so she was very tired. I decided to go to McDonald’s for breakfast as I hadn’t eaten yet and my friend would be at least another hour. You would think that getting a McDonalds is quite easy but in a foreign country and when you’re by yourself it is quite different. After breakfast, I met up with my friend and we made our way to Tung Chung. When we got there we then headed towards the cable cars which were only a few meters away from the train station. For a round trip on the cable cars it was around 280 HKD which is about £28 roughly. The cable car ride was around 15-20 minutes each way. I did start to feel really anxious while queuing up. I think it was because it was really hot and humid that day and the area where you had to wait was very crowded and didn’t have a lot of fans. 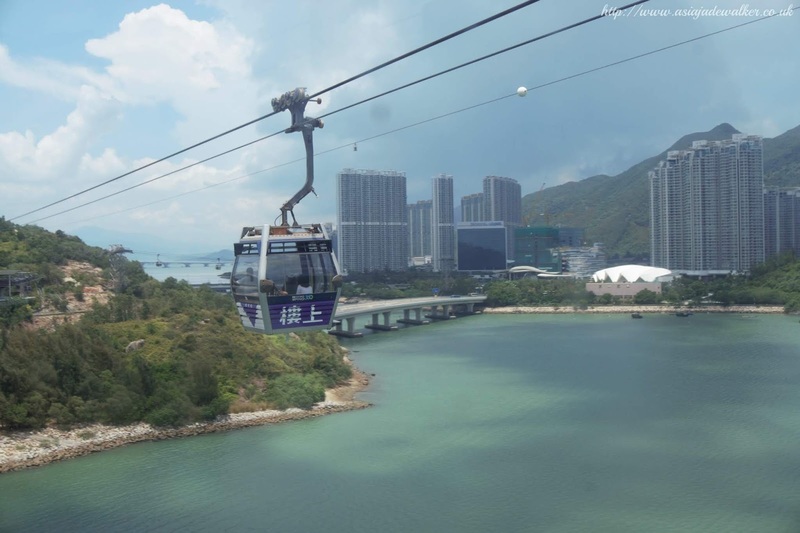 However, when I actually got onto the cable car I was absolutely fine as there was a lovely breeze. The sights from the cable car as we got higher and higher were amazing and you could see for miles. We were so lucky that it was a sunny day that day as I think if it was raining it would have ruined it a bit. When we got to Lantau Island we wandered around for a bit as there are lots of shops and restaurants. We then headed up to see the Buddha which was very hard work I have to admit. It was a really hot day and we had to walk up tons of stairs. I did keep stopping as I thought I was about to pass out. Luckily I was fine just unfit and sweating a ton. As soon as I got to the top I sat down for a good 5 minutes before I got up again. At the top of the Buddha, you could see the monastery that was across the way it looked so magnificent from afar. Again we were so lucky that it was sunny on that day and not cloudy as when it is cloudy you cannot see the Buddha properly because it is that high up. Walking down was a lot easier but still hard work as there were so many stairs. We then headed on over to the monastery to look around. The whole area was well taken care of and there were so many plants and flowers. There were also incense sticks everywhere that tourists could buy and light themselves. After that, we headed back towards the cable cars but stopped at the shops before to take a look at the souvenirs that they had on offer. I managed to pick up a few gifts for my family which I was pleased about. For dinner, we headed for some Dim Sum which is a well-known meal in Hong Kong. There is also another thing called Yum Cha which means that you sit down with friends or family to eat dim sum and drink tea. Usually, Yum Cha is eaten for breakfast or around lunchtime. 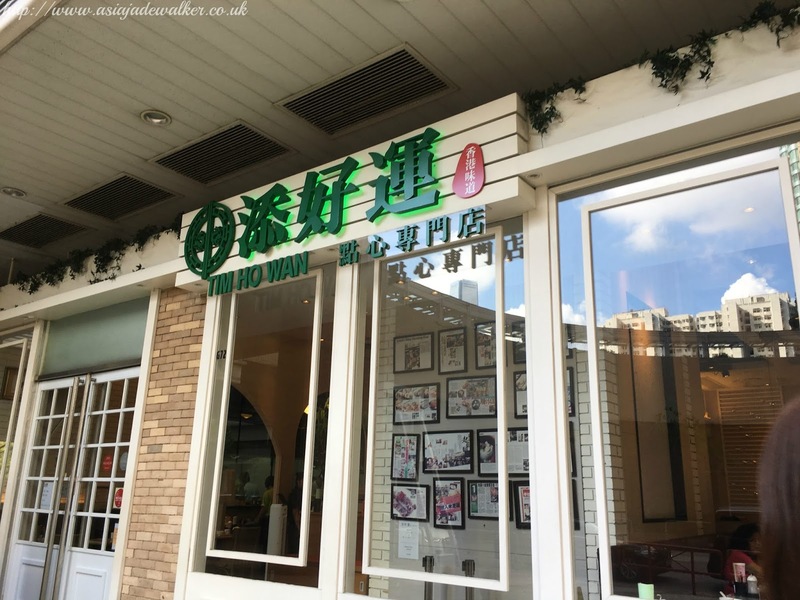 We had decided to go to Tim Ho Wan which is a famous Dim Sum restaurant chain in Hong Kong. There are actually several chains of this restaurant around the world. 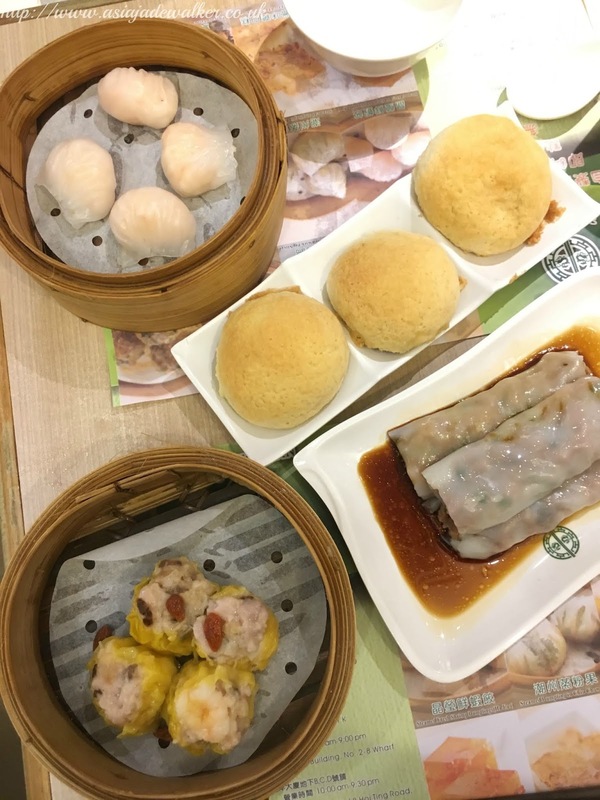 Tim Ho Wan is well known as it is a Michelin-starred restaurant that serves reasonably priced dim sum. We got four dishes between us as they are quite filling and we didn’t want to order any more in case we wasted it and didn’t eat it all. We ordered steamed prawn dumplings, baked buns with BBQ pork, vermicelli roll with beef and then steamed siew mai with shrimp. Every single dish was delicious and we ordered just the right amount as there were even amounts for both of us. My favourite dish was the BBQ pork bun it was so delicious as the bun itself is light and fluffy but the bbq pork filling is warm but sweet. I could have easily eaten all three by myself haha so I know next time I visit Hong Kong I will definitely have to get some Dim Sum again. We then headed to Temple Street which is a famous night market. When we got there the market wasn’t quite set up yet as it was still light out. However, my friend wanted to take me there as there is a historic entrance at the end of the street which says Temple Street. That day I was particularly exhausted as I didn’t sleep well the night before which meant that after we had walked around the street a bit we both headed off back to our separate homes. I do wish that I had stayed a bit longer as it would have been amazing to see the night market in full swing however, we did visit plenty more street markets throughout the holiday. I slept pretty early that night at around 9pm as I was so tired. It was a great first full day as we managed to do a lot and this was just the beginning of my holiday. 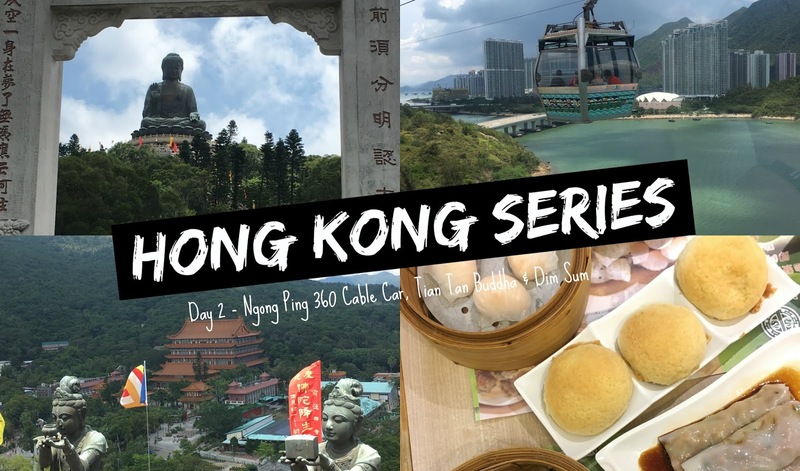 "Hong Kong 2018 Day 3 + VLOG (My 22nd Birthday)"